Beautifully divided sections of a traditional bento is sometimes just what you want for lunch. Without a a doubt some of the best Japanese restaurants and eateries from the best 50 dishes we ate are going to feature on this list. Well, we brought you the best places to eat tsukemen in town and now, we find the best eight bento offerings in town. This takeaway-only cubby hole is making its way into the appetites of many Hong Kong office workers. Having shifted from its original location in Hung Hom to Quarry Bay and having added branches in Admiralty and Kowloon Bay, these bentos are known for their quality and design. The three-tiered Party Box ($1,288) is jammed-packed with gorgeously arranged musubi, steak and more.Various locations inc Shop 90, 2/F, Admiralty Ctr, 18 Harcourt Rd, Admiralty, 2333 5852; bentomorikawa.com. Purveyors of all things fine, C’est la B has launched a series of bentos inspired by ingredients not just from Japan, but from the world over. Housed in colourful boxes, try the Gangnam ($135) bento which offers Korean short ribs, dumplings and salad. Challenging the notion that bentos are restricted to Asian cuisine, there’s also the Roma ($135), which serves up meatballs and penne. Whatever you’re craving, you won’t go hungry here. Various locations inc Shop G111, G/F, Gateway Arcade, Harbour City, Canton Rd, Tsim Sha Tsui, 3102 2838;msbscakery.hk. This lunchbox service is as grassroots as you can get. Former model Rui Nakamura wants to provide hungry Hongkongers with healthy and nutritious meal options. For now, only one menu option is available each day, but you can place your order a day in advance online and have it delivered to your office in Sheung Wan or Central. 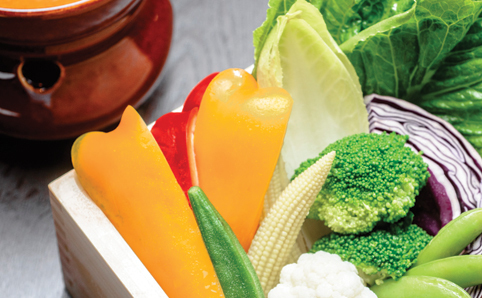 If you want to be that extra bit healthy, mosey over to Tipping Point and pick it up in person. $100. Available on weekdays midday-1pm, Tipping Point Brewing Company, 79 Wyndham St, Central; ciaorui.com. Who said boxed goodies are only for lunch? 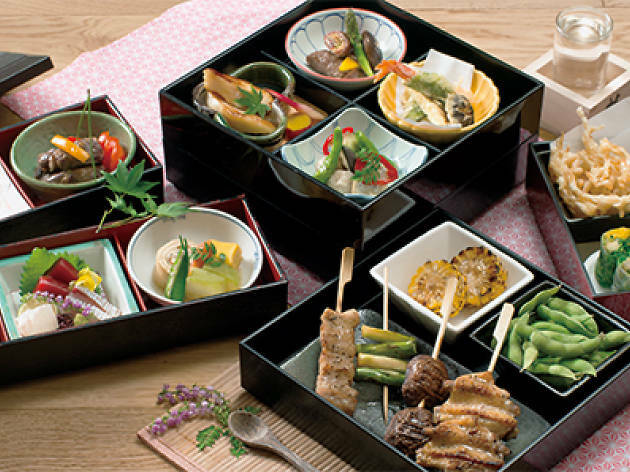 Gonpachi recently launched a line of bentos where you can dine on exquisite bites for afternoon tea. For only $298, you get to sample three tiers of treats. Start with the savoury box, stuffed with nibbles like a shrimp and avocado rice roll, followed up by the char-grilled layer, and finish with a box full of sweet desserts. Served between 2.30pm and 6.30pm daily, this value set also includes two glasses of wine, beer or sake as well. 4/F, Lee Gardens One, 33 Hysan Ave, Causeway Bay, 2787 3688;leegardens.com.hk. This restaurant has a name and history that’s lasted more than a hundred years. 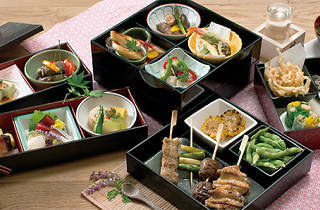 When it comes to solid Japanese offerings, Inagiku is diamond hard and its kaiseki bento hits the bullseye every time. Exquisitely arranged into something resembling an art piece, sink your teeth into jet-fresh sashimi from Japan, as well as sumptuous steak and seafood. This fantastic set is also served with appetisers, a rice set and dessert. $720. 1/F, The Royal Garden, 69 Mody Rd, Tsim Sha Tsui, 2733 2933; rghk.com.hk. Although Inakaya’s panoramic views of Victoria Harbour – the benefit of being 101 floors up the ICC – are a draw, it’s the kaiseki set that’s the star attraction. Chef Masayoshi Nozawa, an alumni of Zakuro in Ginza, Japan, has created an aesthetic and delicious bento ($680), where assorted sashimi and delicate beef tempura are among the lineup. Not a meat eater? 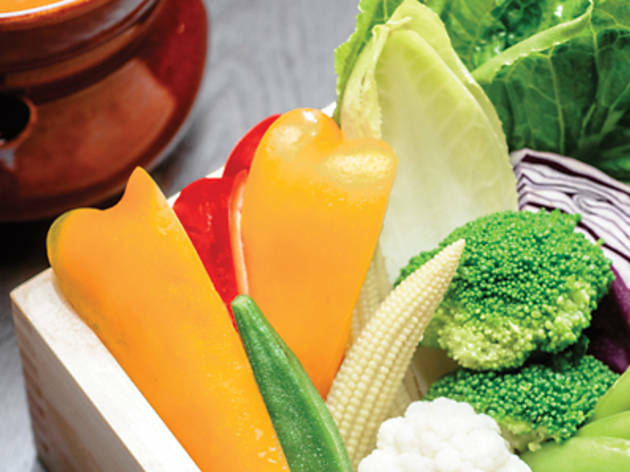 Don’t worry, there’s an equally impressive vegetarian kaiseki bento available for $400. Shop A, 101/F, International Commerce Ctr, 1 Austin Rd, West Kowloon, 2972 2666;jcgroup.hk. a bento ($168), you can expect it to be the very best. Apart from delicious seasonal menu items that are updated every few months, the presentation is beautiful too – an elegant two-tiered box made from cypress wood imported straight from Japan. Shop 002, LG1, Pacific Place, 88 Queensway, Admiralty, 2386 1255; pacificplace.com.hk/dine/Kokomi. Kyaraben or character bentos are usually homemade in Japan but you can buy one for lunch at the Kumamoto Café at APM mall. Kumamon bear is the mascot of the Kumamoto prefecture in Japan who has captured the hearts of fans worldwide and is the theme of the eatery. The rice in the bento is fashioned in the image of the kawaii bear. There are also fried dumplings to chow down on as well – after you take enough snaps of it first, of course. $138. Yata, LG/F, APM Millennium City 5, 418 Kwun Tong Rd, Kwun Tong, 3580 2883.